VLADIVOSTOK, Russia, September 10, 2012 (ENS) – To protect their shared natural and cultural resources on both sides of the Bering Strait, the United States and Russia will create a formal link between national parks in Alaska and in Russia. In Vladivostok, Russian Foreign Minister Sergey Lavrov and U.S. Secretary of State Hillary Rodham Clinton signed a Joint Statement Pursuing a Transboundary Area of Shared Beringian Heritage. By December 31, the proposed Transboundary Area arrangement should be completed, they said. The transboundary protected area will link the proposed four million acre Beringia National Park in Chukotka with the Bering Land Bridge National Preserve and Cape Krusenstern National Monument in Alaska, totaling 3.2 million acres. No new lands on the U.S. side will be designated or included in the agreement. Formalization of the relationship between the U.S. National Park Service and Russia’s Ministry of Natural Resources acknowledges the mutual interests of both countries in conservation, protection, and management of protected areas in the Beringia region. Under the agreement, kinship ties, cultural traditions, the subsistence lifestyle and the languages of the indigenous peoples of the region will be preserved, said Clinton and Lavrov. First discussed in June 1990 by then Soviet leader Mikhail Gorbachev and U.S. President George Bush Sr., during a thaw in U.S.-Soviet relations, talks on a Transboundary Area of Shared Beringian Heritage faltered after the fall of the Soviet Union. In 2012, Russian President Dmitry Medvedev and U.S. President Barack Obama decided to reactivate the 20-year-old idea. During the Last Ice Age some 12,000 years ago, sea levels were lower, exposing land that today lies beneath the Bering and Chukchi Seas. Most archeologists agree that it was across this Bering Land Bridge, also called Beringia, that humans, animals, and plants first passed from Asia to populate the Americas. Beringia still exists today in the people of Northwest Alaska and the Russian Far East. Though they are separated by water, the people of these two areas have common language and traditions and depend on the same environment. The western edge of the Bering Land Bridge National Preserve on the Seward Peninsula is 42 miles from the Bering Strait and the fishing boundary between the United States and Russia. Dotted with hot springs and lakes, this is the land where mastodons, mammoths, steppe bison, and other ice-age mammals once roamed. 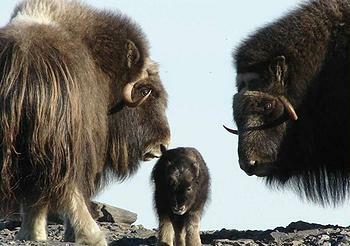 Smaller animals now breed here – reindeer, muskox, caribou, moose, fox and bear. There are no roads into the preserve; access is by bush planes or boats in summer and by ski planes, snowmobiles or dog sleds in winter. 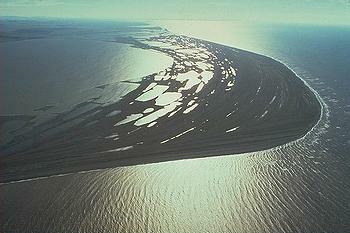 North of the Arctic Circle, the Cape Krusenstern National Monument forms 70 miles of shoreline on the Chukchi Sea. More than 114 beach ridges provide evidence of human use for 5,000 years, and the Inupiat still use the area. Vast wetlands provide habitat for shorebirds from as far away as South America. Click here for a description of research projects happening as part of the Shared Beringian Heritage Program. Lavrov and Clinton also signed an agreement to strengthen cooperation and improve coordination of bilateral policies, science, logistics, search and rescue, training, and public outreach in Antarctica. For the first time, the United States and Russia are jointly conducting inspections of foreign facilities in Antarctica, which will take place in two phases in 2012. In another development, future trade in more than 50 environmental products will take place with very low tariffs among the APEC group of countries, Russian President Vladimir Putin announced today. Under Russia’s chairmanship this year, APEC governments were able to develop the list of environmental products in just a few months, while the World Trade Organization has been mulling a similar effort for more than 10 years, Putin said. “An important achievement was the adoption of the list of environmental goods. Our effort to implement arrangements and to reduce duties on environmental goods was tough, but at the end of the day we managed to adopt a credible list of environmental goods including 54 items and groups of goods,” Putin said. 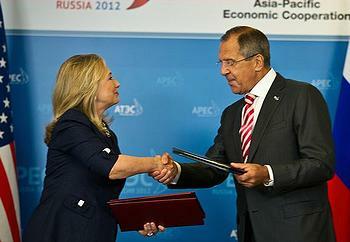 Clinton also was pleased that APEC leaders finalized the list today. Poaching and trafficking of endangered species is another environmental area where APEC leaders “see significant potential for cooperation,” Putin said. In a bilateral environmental advance at the APEC Summit, Russia and Japan signed an agreement to combat poaching of fish stocks that was initially agreed at the G20 Meeting in Los Cabos, Mexico earlier this year.